This is more than the story of the first Christmas tree—it’s the story of a kind and determined young royal. Such an interesting bit of history I’d never come across before! Queen Charlotte brought her family's festive holiday yule bough from Germany to England. While planning a Christmas Day party in 1800 at Windsor Castle for over 100 children, she realized a single bough isn't enough. So she brought in the whole tree instead, making it the first known Christmas Tree in England. This story tells a little known fact about a favorite holiday tradition. 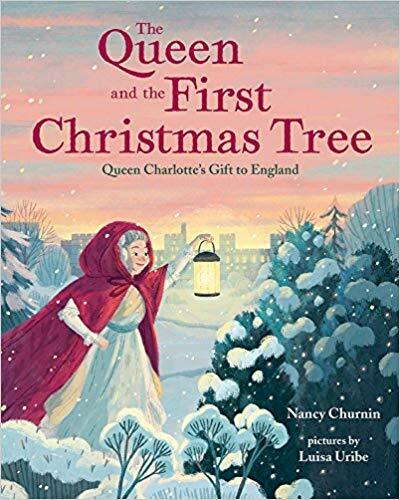 The Queen and the First Christmas Tree, written by Nancy Churnin and illustrated by Luisa Uribe, was published by Albert Whitman & Company in 2018. Charlotte wasn’t like other princesses. 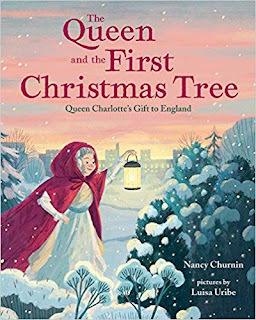 I love the way this book tells a part of Queen Charlotte’s life as brings us the story of the first Christmas tree in England. It’s a wonderful example of selecting the part of a person’s life that is most interesting to focus on when writing a biographical picture book. The way the author uses specific details helps to bring the story to life. This would be a wonderful story to read when talking about holiday traditions. Research: Think about one of your family traditions. Do you know where it came from? Who started it? Do some research and see if you can find out. Draw a picture or write about what you discovered. STEM: Can you make a single pine branch stand up like a Christmas tree? What materials do you need? Build a tree stand! Write: Make a list of words to describe Queen Charlotte. Draw: Draw a picture of what princess Charlotte might be doing instead of going to a fancy ball. A lovely and emotional story about a missing dog, told in verse. He’s a rescue, a mutt. Maybe there’s a little golden retriever in him, although he’s not exactly pretty. He’s had a run-in with coyotes and he’s missing an eye. But Mike is eleven-year-old Cara Donovan’s dog, and they love each other absolutely. Usually her pet follows Cara everywhere, but on the day the family first smells smoke in the air, Mike becomes anxious. Pine Grove is in the path of a wildfire, and the family is ordered to evacuate. In the ensuing chaos, Mike runs off. And then the unthinkable happens; there is no time to search for Mike. They are forced to leave him behind. Shocked and devastated, Cara watches helplessly as the family drives through a nightmare, with burning debris falling from the sky and wild animals fleeing for their lives. Once in the city far from the burn zone, the Donovans are housed with a volunteer host family. Jewel, the hosts’ daughter, is nice, but Cara can only think about what she may have lost. What will happen if nothing is left? But as she reflects on what “home” means to her, Cara knows only one thing. She is not going to lose Mike. She will do what it takes to find him, even if it means going back to Pine Grove on her own. Missing Mike, written by Shari Green, was published by Pajama Press in 2018. It’s so filled with emotion! I worried right along with Cara about her beloved dog, and I felt compassion for anyone who has experienced loss or fear that comes from a fire. I read this one quickly because I was so eager to find out what happened and whether Cara would find her dog. Ten minutes to pack up and leave our home. It hasn’t rained for thirty-seven days. There’s such lovely imagery and language in this novel! I always admire this style of writing because I can imagine how challenging it is to create a complete story this way. A great example of a novel in verse that creates strong emotions for the reader. Many kids have been affected by the experience of being in a fire or by forest fires so they will be able to relate to this story. I admired the determination of the main character and her drive to find her dog. While reading this aloud, there would be many opportunities for talking about loss and how to cope with it, as well as what home means to different individuals. “Don’t look so worried,” she says. I'm so pleased to bring you this special feature, an interview with author Suzie Olsen. I met her through the 12 x 12 Picture Book Challenge, an awesome community for picture book writers that I've been part of for several years now. I love that she's an engineer who is trying to encourage children to explore STEM, especially since one of my daughters is also an engineer. There are lots of great resources on her site! How long have you been writing and what inspired you to get started? I’ve kept a journal off and on since the 4th grade, but I didn’t start writing children’s books until 2016. 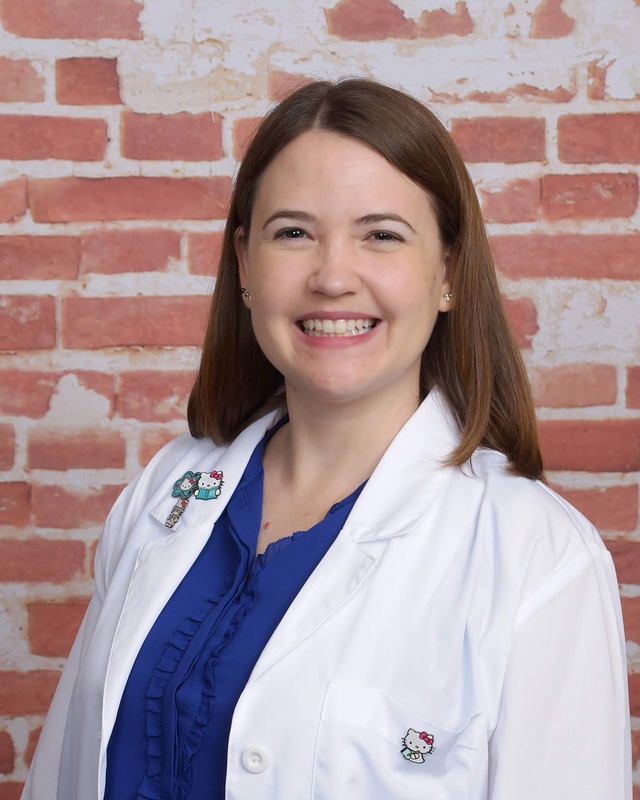 I gave birth to my son in 2014, and then in 2015 started blogging about my life as a mom, engineer, and Rheumatoid Arthritis patient. Having my son made me realize I wanted a new outlet outside of engineering to continue to create things. Engineering can be creative (pending what you work on), but I wanted to explore a new path with writing. In exploring my voice as a writer, I’ve reflected upon my experience as a female engineer (in a male dominated profession) and the science, technology, engineering and math (STEM) educational outreach I do through the Society of Women Engineers, which lead me to write children’s books with female characters who loved STEM in order to encourage children, especially girls, to explore STEM. That is so cool, Suzie. I wonder if you could share with us a little bit about your writing process. For my book manuscripts and blog posts, I keep a journal with me everywhere I go, and when an idea comes to me, I write it down in the journal. Sometimes I forget my journal and use my phone’s note app to jot the idea down. Then if it’s an idea I’m really excited about, I’ll go draft the post or manuscript as soon as I can. Other times I like to think about the idea for a while, such as in the car on the ride home from work or while walking the dog, and then days, weeks, months later, I finally write the draft. Once I have a draft, I send it to my most trusted editor (who just happens to be my husband). Some of my best blog posts have come from the input and suggestions he provides. For my book manuscripts, I have a critique group who gives me feedback, and I’ve found it to be incredibly helpful in the children’s book industry to have a critique group—I’ve yet to meet another children’s author who doesn’t have a critique group! For blog posts, there’s usually a few revisions, but for books, there’s so many revisions that I lose count (I’m awful at numbering and keeping each revision). I didn’t realize how methodical my writing process was until you asked, mostly because my journals are so filled with bad handwriting and half-baked ideas, but that’s part of the fun of writing—you develop your own way of doing it! So true. As writers we kind of discover our own writing process along the way. What can you tell us about the idea that gave you the spark for your book? In engineering, only 13% of us are female in the US (research.swe.org)! 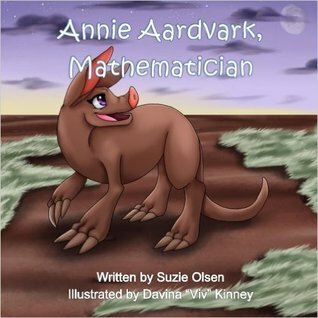 I do believe one day there will be gender parity in engineering, but until that day, I decided that to encourage more girls (and all kids) I was going to write a children’s book that featured a female character who loved STEM, as well as were named after real life female STEM professionals. So, there are three female STEM role models when a child reads one of my books: the main character, the person the character is named after, and then the author. 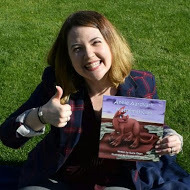 Studies have shown that early engagement is key in getting women and minorities to pursue careers in STEM fields, so my books engage kids in the earliest stages of learning STEM, all facilitated by a female lead character. And although I’ve drafted a couple of children’s book stories not centered around STEM, my spark is to encourage students, especially girls and minorities, to consider careers in science, technology, engineering, and math (STEM). I'm so excited to hear that! So what was your biggest challenge in writing your book? I think my biggest challenge in writing books is finding the time! I think a lot of authors feel that way because many of us balance jobs, writing, family, and so many other obligations. I’m also not a morning person, so I like to write in the evenings, but evenings are also family time. So it’s about squeezing in a hour here and there; usually when my child is asleep and before I pass out on the couch watching The Simpsons. I also need to remember to do some revisions for manuscripts I wrote over a year ago—I so easily get distracted working on a new idea or story that I often forget to go back and incorporate changes. But if it’s a story I’m passionate about, I make the time and actually do the revisions. That’s another great thing about writing is that you get to pick what you like/what you want to write about! I love all the STEM ideas on your blog. What a great resource! Do you have some favorite STEM related books you could recommend to teachers or parents? Thanks, Andrea, for saying such a nice thing about my blog! I’m so excited by the influx in children’s books in the market that are focusing on STEM, and I hope to review many of them on my blog. For preschool age, I like the ABCs of Science by Chris Ferrie and Hello World! Solar System by Jill McDonald. For young elementary age, I am totally biased and love Rosie Revere, Engineer (it’s got engineer in the title!) by Andrea Beaty (Andrea’s a retired tech professional!). I also like Mae Among the Stars by Roda Ahmed, The Diamond and The Boy by Hannah Holt (also former engineer! ), and What Do You Do With an Idea? by Kobi Yamada. Then for middle school age, the Goldie Blox series by Stacy McAnulty and the Enginerd series by Jarrett Lerner. For more STEM related books, one can browse the children’s science or math through Amazon/Barnes and Nobles/ local library/bookstore, or I also have Pinterest boards specifically for STEM books. I find that young children are naturally curious and I love how different activities can encourage that curiosity. Do you have a favorite activity you can tell us about? Are you working on any new projects you'd like to tell us about? 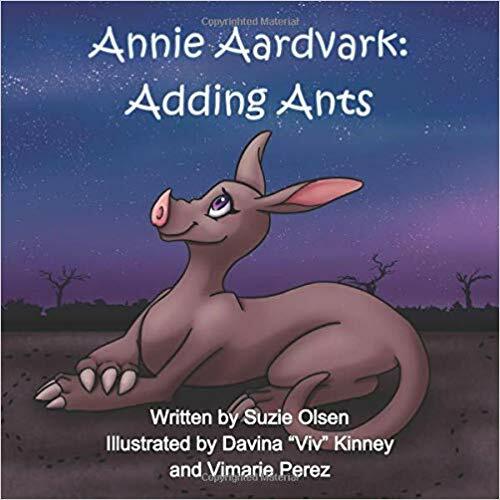 I’m currently working to indie/self-publish a second book in my Annie Aardvark series called Annie Aardvark: Adding Ants. 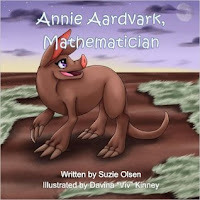 The Annie Aardvark books are about a female aardvark (named Annie Aardvark) who is named after fellow STEM professional Annie Easley and who loves math and who decides to go on math adventures during her daily forage. This series draws on my passion to encourage kids, especially girls, in math, if you can’t tell what I’m passionate about, haha. There really can't be too many books about science & math, in my opinion! Is there anything else you'd like to add? Find your writing tribe! I’m feel so lucky to be a part of the 12x12 Challenge writing group and the Society of Children’s Book Writers and Illustrators— SCBWI is how I found my critique partners who then introduced me to 12x12. And 12x12 introduced me to you, Andrea! I’m so thankful you let me answer questions for your blog. Thank you so much! You're welcome, Suzie. So glad you could stop by the blog and share your "sparks" and wonderful resources. A perfect book to help young children understand and deal with difficult feelings! I'm so pleased these books are forming a series – the next to come is I’m Worried (check out the cover reveal on Matthew Winner's blog). I received a review copy of this book from Debbie Ridpath Ohi, who has also been my critique partner for several years now. 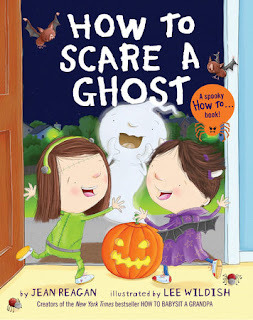 Debbie is such a kind and generous person in the world of children's publishing and I’m so thrilled to be featuring her book on my blog today! 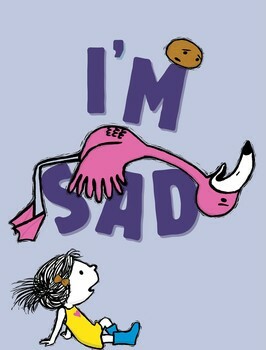 I’m Sad was written by Michael Ian Black and illustrated by Debbie Ridpath Ohi. 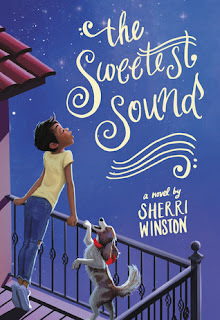 It was published by Simon & Schuster Books for Young Readers in 2018. Will I always be like this? This book has a definite message, but it’s presented in such a fun and matter-of-fact way that it doesn’t come across as didactic. The story connects with readers because of the universal theme of sadness as well as the kid-friendly dialogue and solutions to the problem. It’s so lovely to find a book that doesn’t present an easy solution to wrap up the problem, the way many picture books do, but instead lets the feeling sit with readers. I'm so thrilled to have this book as part of my classroom collection. As a kindergarten teacher, I can never have too many books about emotions and this one provides so many opportunities for discussion. It includes a few questions, such as “Why do sad things happen?” and the message that sad feelings are natural and okay. The big, expressive illustrations are perfect for read alouds. Books with a humor that have deeper layers for discussion and thought are always a big hit! Share: Draw a picture or tell about a time when you felt sad. Educators could collect the pictures or stories to make a class “Sad Book” or video for students to look at when they are feeling sad. Design & Build: Could you make a hideout for flamingo and two friends to hang out in when they feel sad? What materials would you use? Write: Make a list of things that might cheer you up when you’re feeling sad. For more details about I'm Sad, check out Debbie Ohi's bonus page and this amazing teacher's guide created by Marcie Colleen, which is absolutely packed with great activities. I couldn’t put this book down! Loved the character and the story. Perfect mix of funny and heart-tugging. 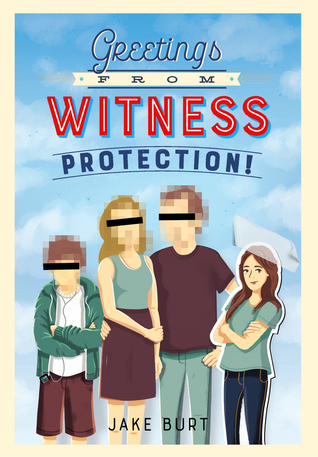 Greetings from Witness Protection, written by Jake Burt, was published by Feiwel and Friends in 2017. It’s a story that delivers everything that’s great about family-oriented middle grade novels –the struggles of making friends and fitting at school, dealing with family issues, having a younger sibling and, oh yeah, the tension of hiding from “the bad guys.” I really enjoyed Nicki’s process of working to maintain her “secret identity” and solve all the problems that came up along the way, like social media. This story was so much fun! I actually know more about countersurveillance techniques than I do about algebra now. I’m working on making a world. I’ve got the mountains and valleys, an ocean and continents. It’s a slow process, though, since I use only my hands. Well, my hands and a couple of tennis balls. This is a wonderful mentor text for studying how to build character. I loved the way we learned more about Nicki as the story went along, her unusual habits that helped to show her emotional side, and her keen sense of observation that helped her so much in solving problems. She has a strong, but loveable personality and a great voice for telling the story. There are also some fun references to other books in this story. It’s ultimately the flicker of the tiny hallway light coming through my keyhole that forces me into action; someone is definitely out there, definitely sneaking. Who wouldn’t want to put themselves in Nicki’s place to help save a family from paying the ultimate price? A great read aloud that offers opportunities for discussion about the meaning of family, different kinds of family structure and how to cope with difficult life experiences, with an intriguing premise and lots of humor. I think sometimes they forget that kids are putting on performances all day, just acting like the people we think we are until, ten years from now, when we figure out who that actually is. This book showcases autumn weather and leaves in a such a fun way! I enjoy these books about a boy and his granddad going on adventures. I’ve also read Sun, and now I’m going to search for Rain and Snow! A storm is brewing and the wind is picking up, so a boy and his grandfather decide it’s the perfect weather for kite flying. There’s just one problem: they have to find the kite! Their search brings up many wonderful memories of previous adventures together, and when they finally make it outside, their adventure really takes off! 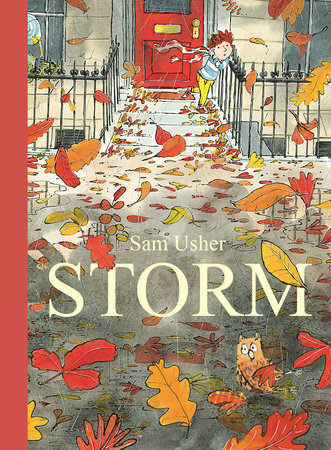 Storm was written and illustrated by Sam Usher. It was published by Templar Books, an imprint of Candlewick in 2017. I love the way the opening of this book draws us in! There’s some nice humor in this story as the boy and his granddad search for a kite, and I enjoyed the parallel of their mess inside with mess of leaves outside. Descriptive language that appeals to the senses (“The wind gushed and howled”) helps to create a complete picture of a stormy day. 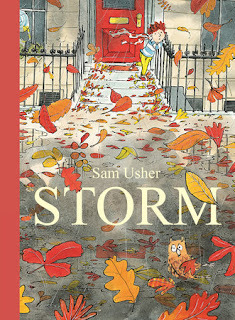 I really like this illustration style of watercolour and ink, and it works well for this story with its storm clouds. I don’t see many books that feature children interacting in a meaningful way with their grandparents, and I love that these two go on adventures together. A great book for opening up discussion about things to do with family members that aren’t parents. Share: Draw a picture or tell about a time when you did something with one of your grandparents. If you don’t have a grandparent, draw a picture of something you did with a family member that is not your mom or dad. Create: Can you make a kite? When you are finished, take it outside on a windy day to see if it can fly. Write: Make a list of words to describe the wind. Challenge yourself to use the words in a story or poem. An absorbing novel about a girl with social anxiety who learns to speak up for herself. For ten-year-old Cadence Jolly, birthdays are a constant reminder of all that has changed since her mother skipped town with dreams of becoming a singing star. Cadence inherited that musical soul, she can't deny it, but otherwise she couldn't be more different -- she's shy as can be. 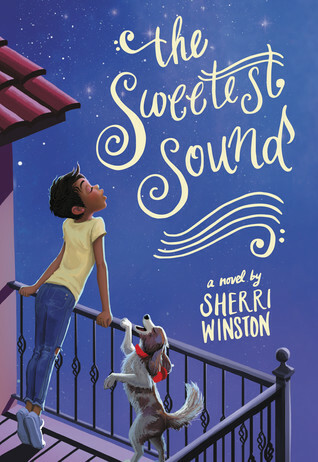 The Sweetest Sound, written by Sherri Winston, was published by Little, Brown and Company in 2017. As an introvert myself, I could emphasize with Cadence’s fear of speaking to others and her anxiety about singing in public. It was interesting how her friends reacted differently after they discovered her singing ability. I really wanted to read on to find out what happened to their friendships! A funny thing happens when people are constantly trying to fix you: Eventually you believe you need fixing. Being everyone’s favorite makeover project was simply exhausting. Birthday s are a problem for me. You might want to take a closer look at this book to see how the author used sensory details to help create emotion and build character. Even though I’m not religious, I liked the way the author included references to God and the details of the religious side of Cadence’s life as part of her church. It helped her character to feel like a real person. There are some fun references to other middle grade books that writers may appreciate. I breathed in air that was cold and tasted like winter, even though the calendar still said fall. I think this novel has the power to inspire quieter students who may be worried about taking risks to show their inner selves. The thread of Cadence learning to cope with the mom who left her and strengthening her relationships with other adults may strike a chord with some students. Sometimes when the doorbell rang unexpectedly, for a brief second, I thought she’d be there. Waiting. And I never felt sure if the idea of her showing up made me happy or sad. For another take on this book, check out Greg Pattridge’s review here. 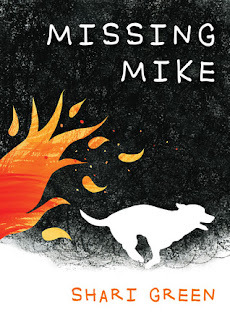 There’s lots more middle grade fun for Marvelous Middle Grade Monday at Greg Pattridge's blog. This debut novel in an exciting new science-related series from National Geographic has lots of action as well as secret codes to solve! Cruz leaves his tranquil home in Hawaii to join 23 talented kids from around the globe to train at the Explorer Academy with the world's leading scientists to become the next generation of great explorers. But for Cruz, there's more at stake. No sooner has he arrived at the Academy than he discovers that his family has a mysterious past with the organization that could jeopardize his future. In the midst of codebreaking and cool classes, new friends and augmented reality expeditions, Cruz must tackle the biggest question of all: Who is out to get him, and why? 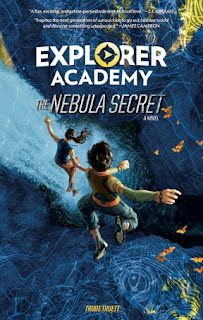 Explorer Academy: The Nebula Secret, written by Trudi Trueit, was published by National Geographic Partners in 2018. I loved all the twists and surprises in this story! The idea of a special school for science explorers is exciting and I was really curious to find out more. There are lots of fun gadgets in this book (emoto-glasses anyone?) and a mystery to solve about Cruz’s mom and her research. Cruz’s friends and classmates Sailor, Emmett and Lani have interesting skill sets and personalities that help to contribute to their mission. Love the action-filled colour illustrations by Scott Plumbe. I’m looking forward to reading the next book to find out what happens! “Cruz!” His name floated easily to him across the water. Cruz turned to see his dad waving him in from the beach. You might want to study this novel to learn about writing action scenes. It’s hard to write an action scene with enough sensory detail to make it come alive while at the same time not slowing down the pace. They heard the sharp smack of hard soles against marble and saw a figure charging their way. This would be a nice addition to the classroom library. I loved the way science and history is incorporated into the story. There’s lots of cool technology to keep readers hooked and wondering about what our own future might bring. It would be interesting for students to research whether any of the gadgets are real or under development, or to come up with their own ideas for a new piece of technology. He had read about mind-control digital photography in their text and was eager to try it. There’s an awesome website for this book where you can learn more about science, play games and even win a trip! You can also find more middle grade fun for Marvelous Middle Grade Monday on Greg Pattridge's blog. I really loved this book! It’s a great story to share when talking about perseverance or even just to read when you need a bit of inspiration. Dashrath Manjhi used a hammer and chisel, grit, determination, and twenty years to carve a path through the mountain separating his poor village from the nearby village with schools, markets, and a hospital. 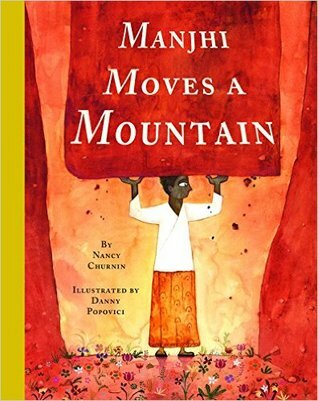 Manjhi Moves a Mountain shows how everyone can make a difference if their heart is big enough. Manjhi Moves a Mountain was written by Nancy Churnin and illustrated by Danny Popovici. It was published by Creston Books in 2017. Deep in the heart of India, a mighty mountain separated two villages. The carefully chosen details in this story made it come alive for me. I could easily imagine “their pockets jangled with money” and “Powdered rock and tiny chips sprayed.” Another excellent model for writers who are interested in telling narrative non-fiction. The illustrations are perfect for this story. I love the warm browns and especially the beautiful night sky on the page where Manjhi worked into the night. This story made me marvel over what a single person can accomplish. There’s a thought-provoking question in the text: Why should some people have so much and others so little? This book would be excellent to discuss with both primary and junior level students. I think children will be amazed and impressed by Manjhi’s hard work and what he accomplished. A great choice for a school library. Retell: Build a mountain of blocks or rocks and use puppets or pictures to retell Manjhi’s story. Imagine: Imagine you are one of the villagers. How will an opening through the mountain change your life? Draw a picture or write a paragraph to explain. Will you welcome the change? Talk with a classmate who has a different point of view. Think: Is there something you can do to make things better for your family or community? How could you do it? At first, I wasn’t sure I’d like this book but as I kept reading, I found I couldn’t put it down! A compelling & thought-provoking story that's also a lot of fun. Mia Tang has a lot of secrets: Number 1: She lives in a motel, not a big house. 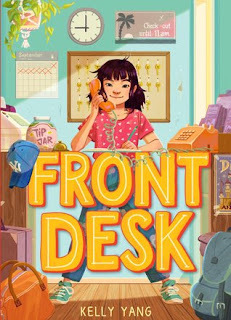 Every day, while her immigrant parents clean the rooms, ten-year-old Mia manages the front desk of the Calivista Motel and tends to its guests. Number 2: Her parents hide immigrants. And if the mean motel owner, Mr. Yao, finds out they've been letting them stay in the empty rooms for free, the Tangs will be doomed. Number 3: She wants to be a writer. But how can she when her mom thinks she should stick to math because English is not her first language? Front Desk, written by Kelly Yang, was published by Arthur A. Levine Books, an imprint of Scholastic, Inc. in 2018. It’s an absorbing read that takes you right inside another person’s life and experiences. I grew quite emotionally connected to Mia and was rooting for things in her life to work out. Reading the stories of the different immigrants Mia’s family helped made me feel sad, but also inspired me. It was great, too, how this book showed that making friends isn’t always that easy, especially when you don’t have the things that other kids have. That night I could not stop thinking about Uncle Li and how he was willing to do anything, go literally anywhere, even into the belly of a Dumpster, to get what he wanted. My parents told me that America would be this amazing place where we could live in a house with a dog, do whatever we want, and eat hamburgers till we were red in the face. You might study this novel to get a good sense of a strong middle grade perspective. Everything in this novel comes from Mia’s point of view. There are lots of small details that create an authentic reading experience. I also really enjoyed all the references to writing! Panic seized me. The words were so open and exposed. My story looked like a belly button. I immediately wanted to cover it. I thought so much about my own place in the world and my privilege while I was reading this story. An excellent choice for reading aloud, to get kids thinking deeper about the experiences of being an immigrant or sharing their own experiences and feelings. This book also provides several examples of practical writing for letters or job recommendations, and I loved how hard Mia worked to get her writing right. He and his friends stopped talking, but I could feel their eyeballs on me. I could feel them sinking into my pants. Go here to read an interesting article about Kelly and the story behind the book in the South China Morning Post.